Who says role models should be perfect? David was far from it, yet had a heart for God that we can learn from and develop. We desperately need role models today - people who allow us to be fully human yet inspire us to look beyond our weaknesses to the living God. David is such a person. His struggles with sin are infamous, and the Psalms reveal his anguish and doubts. Yet he is also described as 'a man after God's own heart' - the champion of Israel. As you explore the life of David, you will discover what it means to have a passionate heart for God. The top-selling Lifebuilder Bible Studies have helped millions of people dig deeper into the Bible, individually and in groups. 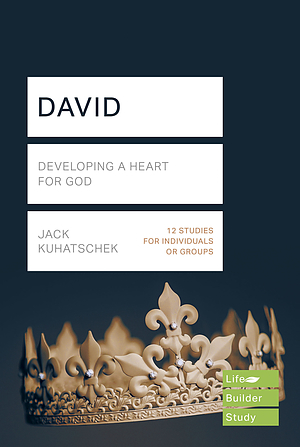 Lifebuilder: David by Jack Kuhatschek was published by IVP UK in September 2018 and is our 1398th best seller. The ISBN for Lifebuilder: David is 9781783597918. Be the first to review Lifebuilder: David! Got a question? No problem! Just click here to ask us about Lifebuilder: David.